What makes the book tempting is the credentials of two authors – founders of Basecamp, an IT successfully operate in remote-working model. You will find in the book – Remote office not required – all arguments needed to support your choice of remote working, whether you are employee, team lead or employer. The quoted is completely against the purposes of having a Google style office – open space, entertainment room with games devices, large kitchen with free foods. Employees can even have their own space decorated by their own. Employers try to make office as comfortable as home to keep their staff there all the time, hoping for more valuable contribution. But what is quote says is true. If your job requires an absolute focus on thinking and researching, remote working might be better for you. There are so many excuses against remote working such as building culture, teamwork ability, distraction at home, control on the employee’s presence and performance. Those are old fashion excuses. The development of technologies, as well as the agile working style make remote working feasible and more effective than you can ever imagine. So, it’s time to reconsider sticking to the old fashion of 9 to 5 in the office, or starting to apply remote working. For employer: remote working brings back strategic advantages as well as efficiency and economic saving. Talents are everywhere. Remote working is a solution to employ them, to utilize their skills without paying an expensive relocation package. There is no need for super large office, thus, rental and office utility expenses can be saved. Remote working also satisfies the trending living style right now – People value freedom and personal time. Giving them better quality of life in return for good quality of work. Those who show up the first and leave the last might not be the A performers in the office. For team lead: to manage a remote team, clear communication is a must. Working documents should be put in a shared space in the cloud or common servers for the usage of the team anytime in the day. There also needs a time lapse between the working time of team-members in case the team is working in different time-zone. Some on-site meetings per year will be needed for team building. Culture is not necessary built by face-to-face interaction on daily basis. It is built by the way your team work with each others and deal with customers. For employee: remotely working can save a lot of commuting time and travel expenses, not to mention the case where you do not live in the same area as the company. It is important for a remote worker to find the work-life balance, not to let either housework or office-work dominate 24hr of the day. Note that remote working does not simply mean working from home. 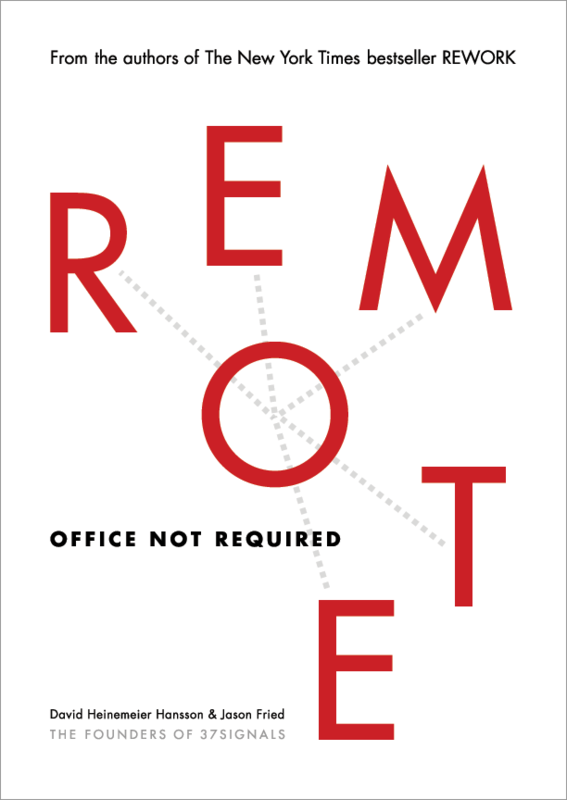 Remote working can be working from everywhere, but not the office. Also, there is no push on 100% remote working method. Companies should consider to apply it based on their specific cases and business nature. However, as the matter of fact, the remote working model is becoming popular. We somehow all remote work without really noticing about it like working with third party outsourcers, or working with people around the world and around the clock. Reblogged this on small world – big business.